Are you part of the pro-vaccine mega majority? Do you wonder why mini-minority groups who distrust vaccines get such outsized representation in the media and, occasionally, policy? Wondering what to do about it? 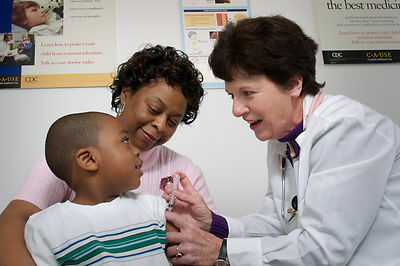 The new org Voices for Vaccines (www.voicesforvaccines.org) is the place for you. The below is from their recent launch and conference call. Who is Voices for Vaccines? When stories are told about vaccines in the media, among decision makers, and between parents, the parent voice that often gets the most attention is the antivaccine voices. The antivaccine movement has been excellent at shaping their story and getting attention as a legitimate, equal “other side” opposed to public health officials and scientists. However, the vast majority of parents, well over 90% of parents, happily vaccinate their children. If the vaccine story were told with actual equity, only 5% of the story would cover the movement against vaccines, and it would be shaped as a denialism of the science supporting vaccines. Voices for Vaccines seeks to reclaim that appropriate balance and to help parents, providers, and community members speak up on behalf of vaccination. These provaccine voices are needed in places like Vermont, where a well-organized antivaccine movement defeated a bill last year to tighten the personal belief exemption that allows parents to opt out of vaccinating their children. We also need these voices in Oregon where legislators are trying to provide real, truthful information about vaccines to those parents seeking to opt out. To help people advocate for immunization, Voices for Vaccines gets the tools needed into the hands of those everyday people who need them. Our website hosts our toolkits, which so far include “How to Write an OpEd for Publication.” We are also working on a toolkit that addresses vaccine hesitancy and a toolkit that childbirth educators, doulas, midwives, OBs, and the like could give to new parents to help prepare them for vaccinating their children. To support our efforts, we send out a monthly newsletter that directs people to action and gives them up-to-date information about vaccine advocacy. Lastly, our blog provides a place for everyday people to tell their stories. Our members blog about why they vaccinate, how they became provax, and how vaccine-preventable diseases have changed their lives. How we came to Voices for Vaccines. The act of writing brought Ashley Shelby and Karen Ernst into this world of vaccine advocacy. Minnesota’s personal belief exemption is one of the least restrictive in the country. A parent need only get a notarized form saying that they do not want to vaccinate, and they are exempted from vaccinating their children. Karen was trying to figure out a way to have this law changed when she found Ashley’s OpEd in the Minneapolis StarTribune about making it more difficult for parents to opt out of immunizations. After reading this article, Karen tracked down Ashley’s email address and convinced Ashley to meet her. From there, Karen and Ashley went to serve on various Minnesota Department of Health committees and also founded the Moms Who Vax blog. Moms Who Vax was a success. Ashley wrote much about political and news events surrounding vaccines, while Karen tended to debunking things antivax celebrities said. And then other mothers began to join in. Chrissy wrote about her conversation from antivax to provax after realizing that vaccines had not caused her son’s autism. Tristen wrote about how her pediatrician was able to convince her to vaccinate her child against chicken pox. And Katie wrote about her surprise that the antivaccine movement even existed. At that time, the Minnesota Department of Health sent us to the National Immunization Coalition Conference where we met Dr. Deborah Wexler of the Immunization Action Coalition. Dr. Wexler asked Ashley and Karen to head up Voices for Vaccines and create in it a parent-driven organization whose purpose was to allow everyone to advocate for vaccines. community and make sure the conversation and the laws about vaccines are accurate and smart. If you do decide to write about us in your blog, please let us know at info@voicesforvaccines.org. We will help promote your blog. We can also send our members to your blog if the comment section of any vaccine-related post needs intelligent responses.